Demand feeds supply, which in turn feeds into profit and sustainability for your business. Understanding how to effectively target your market is essential in getting the right people to notice your product and spread the word. Particularly for SMEs, where profitability and long term sustainability are primary concerns, establishing a loyal customer base will be essential in maintaining demand and eventually, enlarging market share. If your company is providing services, ensure that your service staffs are well trained right from the start, to enhance customer experience. Making the extra effort to keep your customers happy can even impact how forgiving they are towards any flaws in your services or products; and with social media providing a platform for reviews and complaints; companies need to be mindful that no customer is less significant than another. Running your own start-up from infancy is no easy job; and finding the right people who are dedicated, passionate, like-minded, with complementary skill sets is hardly ever easy. 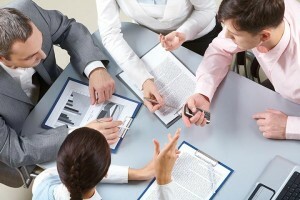 In addition, team dynamics and a shared vision of the business’ goals can “make or break” the core team. Especially for SMEs where everyone will probably have to work closely together, creating the right atmosphere and ensuring that the team dynamics remains positive can impact staff morale and performance. Hiring the right people can also relieve much of your burden, as being able to trust reliable and competent people to handle certain aspects of your business can make things more efficient and less stressful. Take for example, ongoing statutory compliance requirements, which none of your core team members may have expertise or knowledge of. Rather than pore through the onerous clauses of the Companies’ Act to determine which requirements your company has to comply with, most SMEs opt to outsource this to a reliable corporate services provider, who can assist the company in preparing the necessary legal documents at a fraction of the cost of a full-time employee. This is not only more productive, but also cost saving for the company. In addition, having the foresight to effectively hire the right people or outsource certain business and administrative functions can eventually pay off. For example, if the business is successful and is being considered for a potential acquisition or huge investment, big-ticket investors or joint venture partners will pay attention to how the company accounts for its day-to-day operations. Having the company’s accounts in good order will assure potential investors and business partners of the accountability and transparency of the business operations. Start-ups and SMEs should therefore ensure that their books are in good order and may perhaps consider hiring a good accounting firm to assist them, rather than having their own staff try to manage the accounts of the company, which may not be within their expertise. One sure-fire way to gain confidence from your investors and team is to conduct substantial research on your product, the industry and target audience. Familiarise yourself with competitors in the market and think about how your product can succeed amidst the competition. By doing so, you and your core management team can derive strategies on how to effectively sell and market the product; while investors will feel reassured that they are investing with a team that is focussed and is unlikely to spend money unwisely. If you’re planning to leverage off an on-going trend in the market, bear in mind that creating a differential from your competitors will be key to the long-term sustainability and profitability of your business. One example was the bubble tea fad in Singapore that initially boomed in 1996, with various copycats sprouting all over the island. However, the popularity soon died out until KOI and GongCha brought the fad back to life in 2010, successfully sustaining the bubble tea trend to-date, a commendable feat in Singapore’s fickle-minded food scene, considering that other similar food trends (such as coffee buns and cinnamon rolls) have failed to revive and remain sustainable. Besides conducting comparative analysis on existing competitors, do research on the expected costs that will be incurred for the business operations. This should include production and manufacturing costs, marketing costs, rental, salaries, utilities, etc. For companies that choose to leverage off platforms provided by private incubators or government-led initiatives, it could mean substantial cost-savings, as workspaces are often provided for free, with funding support for certain aspects of the business. Being aware of the potential costs to be incurred for your business can also help you justify how much investment you need from your investors, or the bank. Some companies, wary of giving up ownership or their decision-making power, may shy away from private incubators, venture capitalists or government-led initiatives and choose to opt for loans from banks instead. In Singapore, the Micro-Loan Programme paves the way for small SMEs and young start-ups to obtain loans of up to S$100,000, without the tedious requirements that need to be met for most corporate loans. Statistics show that 50 to 70 percent of start-ups fail within the first 18 months. No failure is a permanent failure, unless you allow it to be. Treasure the network of investors, fellow entrepreneurs and the connections you’ve made in that industry. Ultimately, the onus is on the core team to recognise their flaws and learn from them, before trying again. 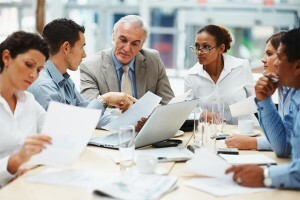 At the end of the day, entrepreneurs and business owners should accept that it is hardly possible for one to make all the best decisions, but if every decision is well substantiated and justified instead of relying on a “gut feel”, this can help establish trust in your leadership and stewardship of the company; and even if the business fails, winning confidence from your investors, employees and business partners about your leadership and stewardship could eventually lead to even better business opportunities in the future. Interested in setting up a company in Singapore? Call us at +65 6320 1888 or contact us now for a free consultation.